Ebenezer Kinnersley was born the son of Sarah Turner and William Kinnersley in Gloucester, England. In 1714, when Ebenezer was a very small boy, his parents emigrated to the American colonies where his father became assistant minister to Pennepeck Baptist Church in Lower Dublin near Philadelphia. Although there is no record of his education, it is known that Ebenezer Kinnersley moved to Philadelphia at about the time of his 1739 marriage to Sarah Duffield. In Philadelphia he worked as a shopkeeper and occasional preacher at the Philadelphia Baptist Church. When George Whitefield and other revivalists preached in Philadelphia in 1740, during the height of the Great Awakening, Ebenezer Kinnersley was repulsed by their emotional style. After he publicly attacked their “horrid Harangues” he was tried and condemned by a church meeting. His friend Benjamin Franklin published Kinnersley’s initial response, but then stepped back as the quarrel escalated. Kinnersley’s commitment to the Enlightenment, to Newtonianism, and to scientific deism led him to belief in rational religion and a “God of order.” His views, shared by many intellectuals of his day, but not in tune with the Great Awakening, probably explain why Kinnersley was never chosen by a congregation as a minister even after his 1743 ordination. By 1747 Kinnersley was among the circle of friends closely involved with Franklin’s electrical experiments. At Franklin’s urging, Kinnersley toured the southern colonies in 1749 to deliver lectures on electricity, lectures written in part by Franklin himself. In 1751, he delivered lectures on “the Newly Discovered Electrical Fire,” traveling to New York, Boston, and Newport. It was in these lectures that Kinnersley was the first to publicly announce the effectiveness of the lightning rod and then to dismiss religious prejudice against the uses of these rods. 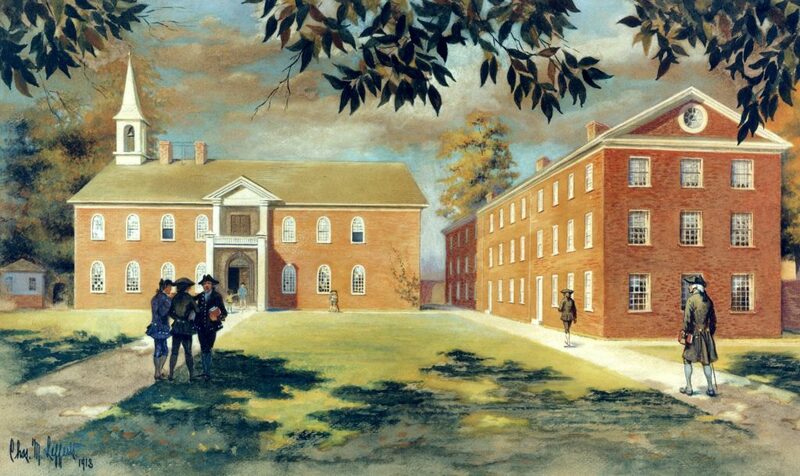 On Kinnersley’s return from a tour of the West Indies in early 1753, Franklin asked him to replace David James Dove as master of the English School in the Academy of Philadelphia (the origin of the University of Pennsylvania). Kinnersley accepted, and then when the College of Philadelphia was established in 1755, he became professor of the English tongue and of oratory. When the student dormitory was completed in 1765, Kinnersley was made steward and given disciplinary powers over the students residing there. In these duties he had the assistance of his wife, who also supervised the collection and washing of the students’ soiled clothes as well as their hygiene. Kinnersley continued as a popular professor at the College of Philadelphia until his resignation because of poor health in 1772. During his last years, Kinnersley continued his work with electricity. Even though he was elected a member of the American Philosophical Society and credited by Franklin with a number of minor discoveries, Kinnersley did not consider himself an equal of Franklin. Kinnersley’s most significant scientific advance was his invention of an electrical air thermometer he used to prove that electricity melted by heat rather than by cold fusion. His greatest achievement was probably his popularization of science. Kinnersley died on July 4, 1778.